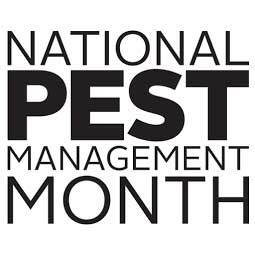 In honor of National Pest Management Month this April, the Professional Pest Management Alliance (PPMA), which serves as the consumer marketing and public outreach arm of the National Pest Management Association (NPMA), is educating consumers about the essential role pest professionals play in protecting the quality of life in the United States. For more than 40 years, this annual designation has acknowledged the pest management industry’s ongoing commitment to the protection of health, food and property from common pest threats with the help of a licensed pest control professional. To join in the month-long celebration, industry members can devote their social media pages to National Pest Management Month using the hashtag #NPMM in all posts and interactions on social properties, including Facebook and Twitter. PPMA is also offering an exclusive toolkit for Mainframe subscribers to use as a resource during their own publicity efforts. The toolkit is available for download on PPMAMainframe.org and contains a customizable press release, suggested social media content and other materials to help companies communicate to their customers about National Pest Management Month. 1 Comment on "April is National Pest Management Month"